Smoothies are now a favorite among gym goer and other health-oriented communities. The promise of smoothies is that you’ll improve your health and lose weight because these fruity beverages pack a punch when it comes to micronutrients. Smoothies also make it easier for the busy body to get their daily portion of fruits and vegetables in just one gulp. This is why office workers also like to sip on their favorite smoothie while working long hours at the desk. But not all smoothies are created equal; some are pretty high in calories and sugar. Health conscious folks steer clear from smoothies with added sugar, dairy, and with too much fruit. Instead, they opt for green smoothies. Those looking for green smoothie recipes can get more inspiration from 99 Weight Loss Smoothies recipe e-book. Green smoothies have been promoted as a meal replacement that improves overall health and for better fat burning for quite some time now. With almost 70% of U.S. adults now considered obese or overweight, public health officials are desperately looking for ways to slow down the obesity epidemic and green smoothies seem to be promising. These smoothies contain leafy greens and other fruits and vegetables for better taste. Studies on pureed drinks such as green smoothies have shown promising results when it comes to weight loss. One study published in the British Journal of Nutrition found that consumption of smoothies increased blood concentrations of phytochemicals and antioxidants which showed a cardio-protective effect. There are some scary stories circulating the web about smoothies being detrimental to your health when taken on a regular basis. But just like with any type of foods, moderation is key. Fruit-based smoothies could contain more calories than you’d like to consume. One study even found that some fruit smoothies have a low pH that can damage the tooth enamel. As far as green smoothies are concerned, there was a recent scare that these smoothies may increase your risk of developing kidney and gallbladder stones. And although this is true to a certain extent, if you eat a balanced diet, then your chances of developing stones are minimal. 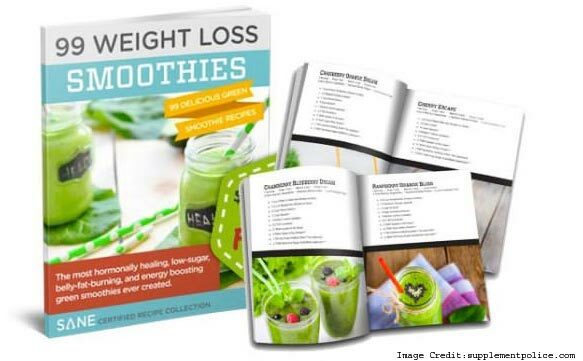 To help you include a variety of weight loss smoothies into your daily diet, the author of 99 Weight Loss Smoothies has created this e-book for you. The recipes included were chosen due to their proven favorable effects on the metabolism. These ingredients should help you burn fat and improve your overall health and you also get to pick and choose as smoothie of your liking. If you’ve been having trouble with finding a green smoothie recipe that is both healthy and delicious, then you might want to try our 99 Weight Loss Smoothies. Jonathan Bailor, New York Times best-selling author is the creator of this colorful smoothie recipe e-book. He has made sure that his readers enjoy making smoothie recipes with the help of this entertaining recipe book. Each recipe contains a descriptive photo of the smoothie in question. Some of the recipes included are blueberry belly-blaster, nectarine cranberry fat-blaster, slimming strawberry sunrise, and strawberry orange bliss. These green smoothies are delicious which busts the myth of all green smoothies is without exception bad tasting. If you are a health-conscious individual trying to lose weight, then including any one of the 99 smoothies from this e-book into your diet can help you lose weight. But keep in mind that smoothies are packed with nutrients that are hard to get by eating individual portions of fruits and vegetables. Be conscious about what you put in your body and don’t overdo it with the smoothies and you’ll be safe. As far as book purchasing goes, you can either download the free version of the book online. The book is also available on kindle. 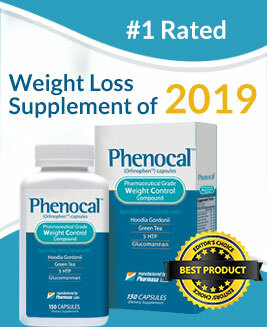 You can also purchase the hard copy for $49.95 on the official 99 Weight Loss Smoothies website. The paperback version is also available on Amazon at the same price. If you have any questions regarding the book, you can call the free customer service team at any time and you’ll get all your questions answered. Losing weight is never easy, but it can become much easier and more fun with the help of delicious green smoothies. Green smoothies have become a trend recently and for good reasons also. They help you get adequate amounts of vitamin-packed leafy greens with just a few sips. Green smoothies also contain nutrients that can boost your metabolism for better fat burning results. To get the best green smoothie recipes, you should definitely download (or purchase) Jonathan Bailor’s 99 Weight Loss Smoothies e-book. The book contains a large number of smoothie recipes that cater to everyone’s taste buds. You can get the help to lose the extra pounds by trying this weight loss pill that is Lipozene.